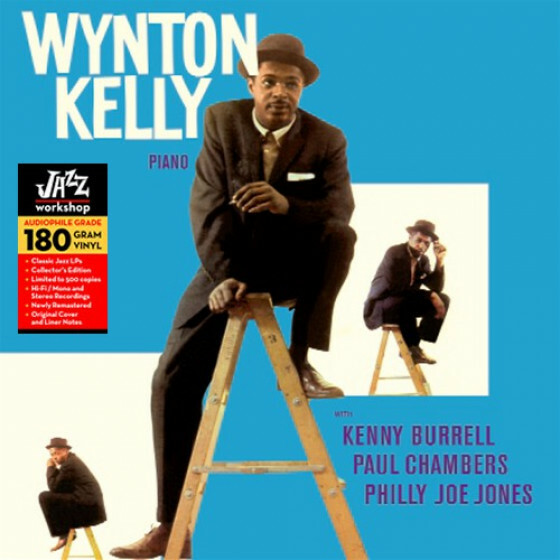 Ernie Henry (alto sax), Wynton Kelly (piano), Wilbur Ware (bass), Philly Joe Jones (drums). 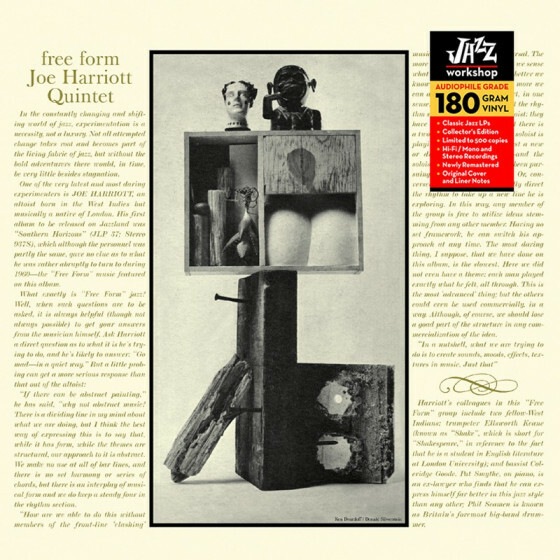 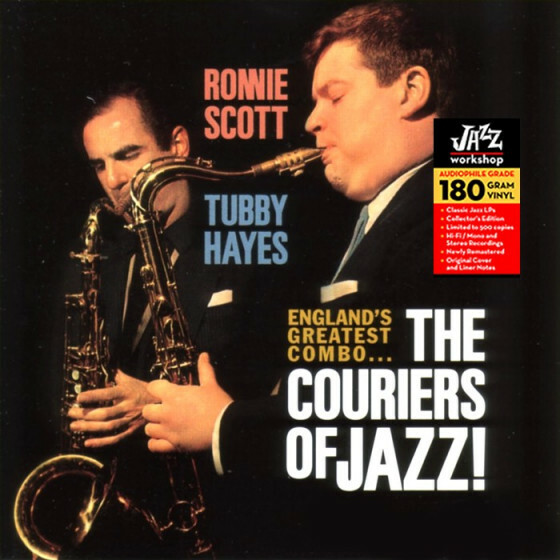 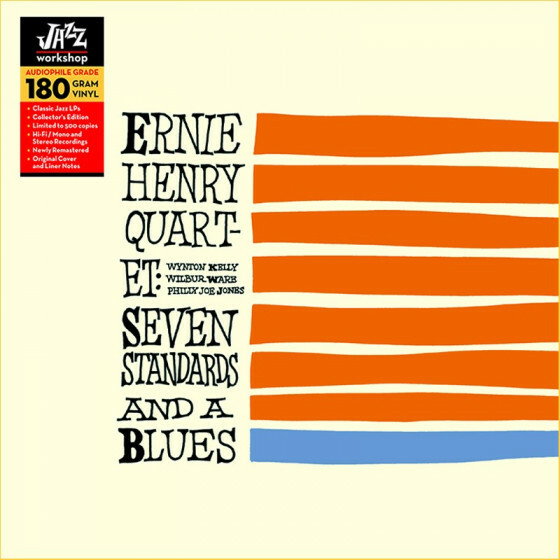 "Recorded just three months before his unexpected death, this set by altoist Ernie Henry is his definitive album as a leader. 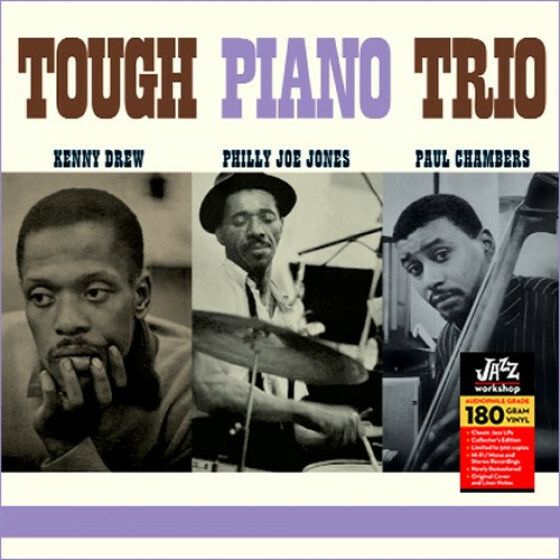 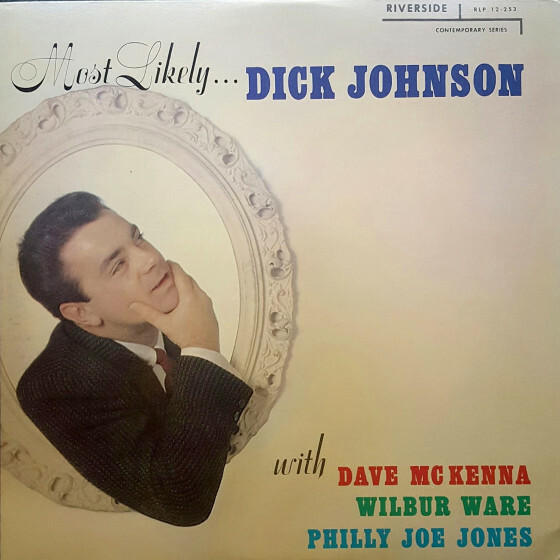 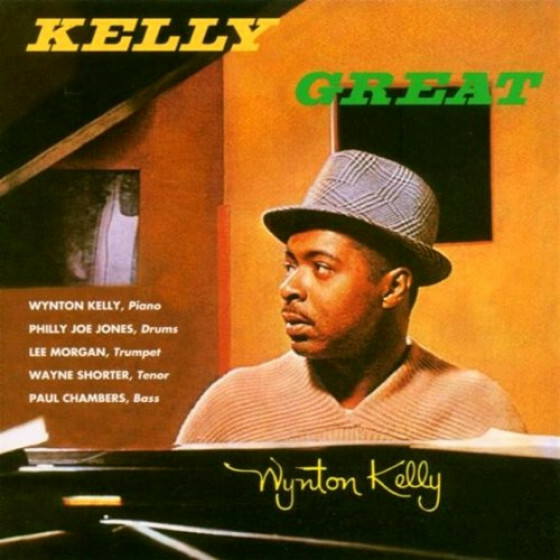 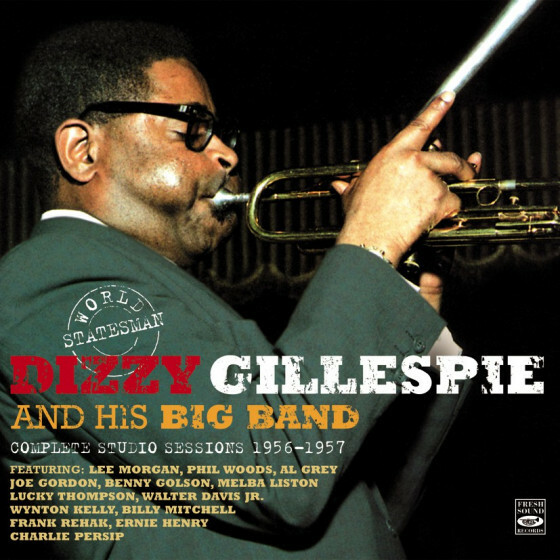 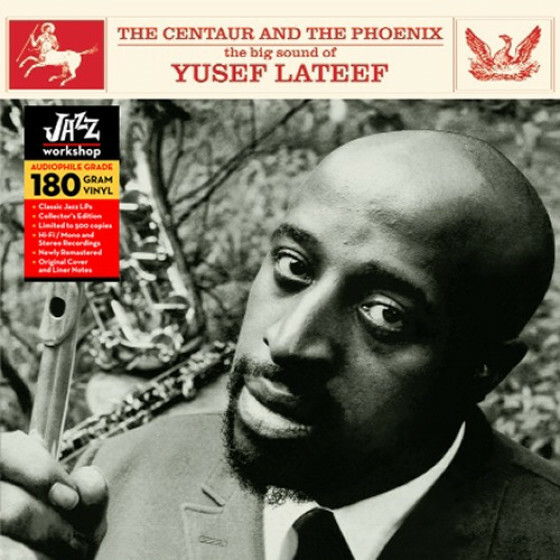 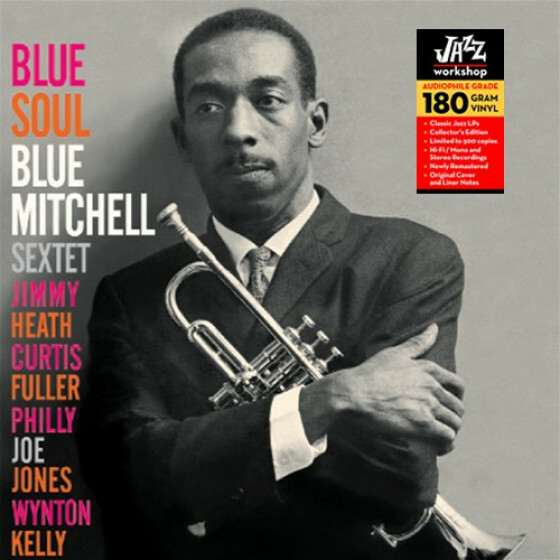 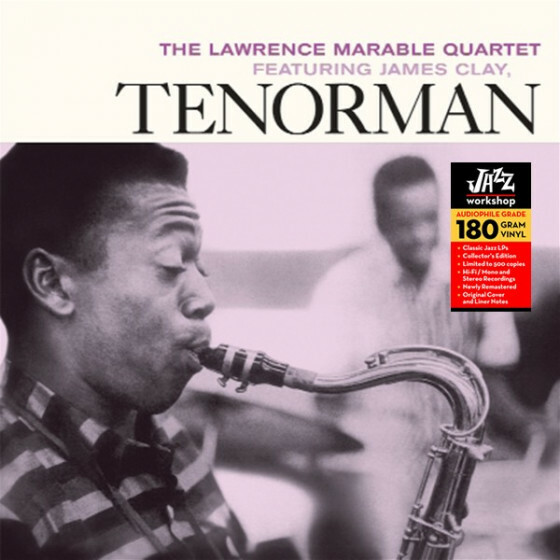 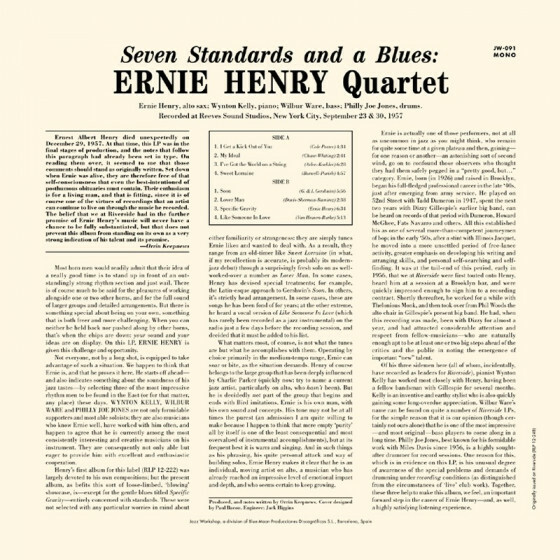 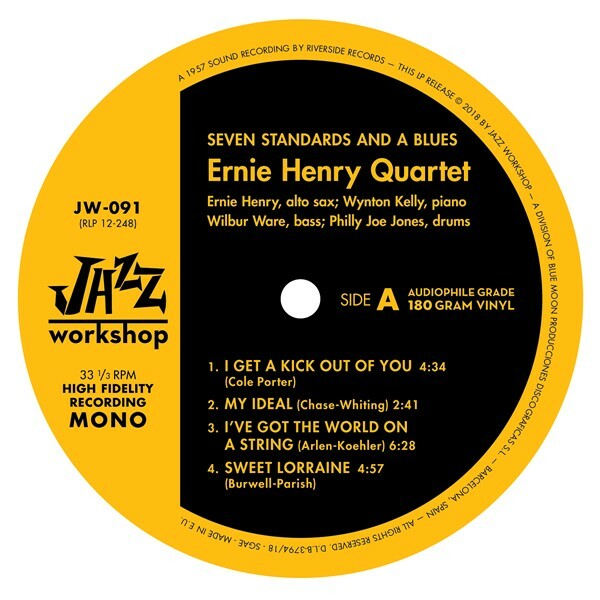 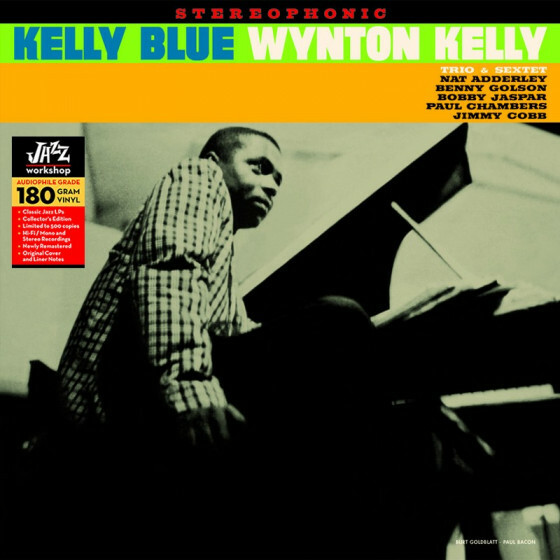 Henry, pianist Wynton Kelly, bassist Wilbur Ware and drummer Philly Joe Jones do indeed play seven standards (including "I Get a Kick Out of You," "Soon" and "I've Got the World on a String"), plus a Henry blues ("Specific Gravity"). 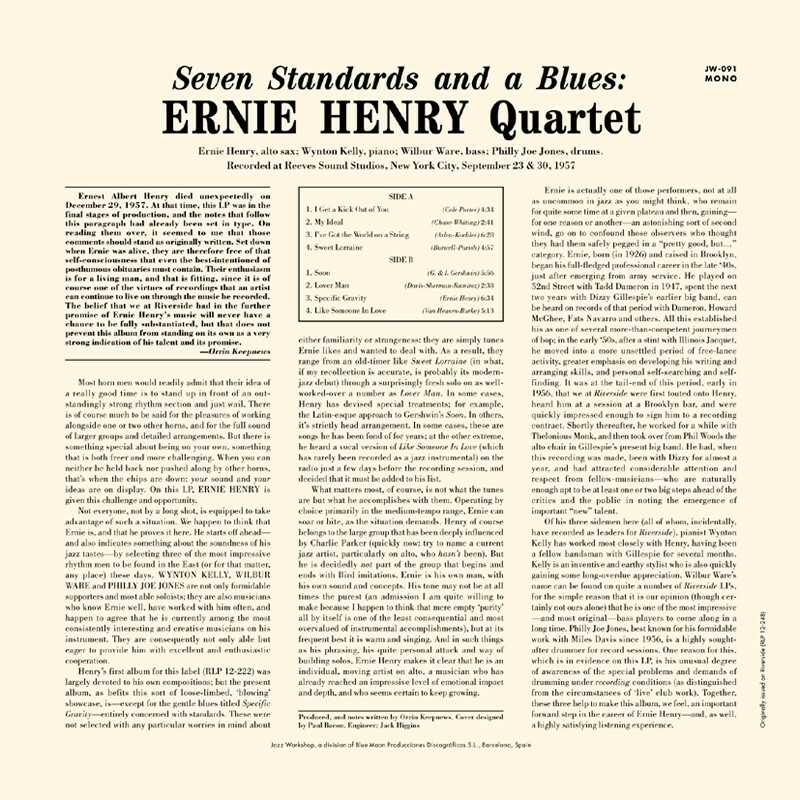 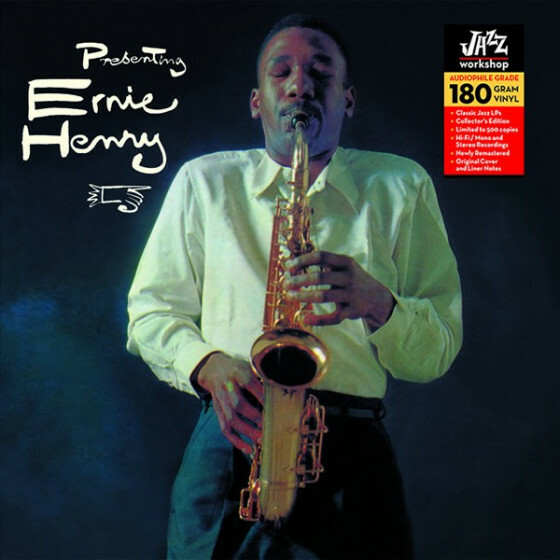 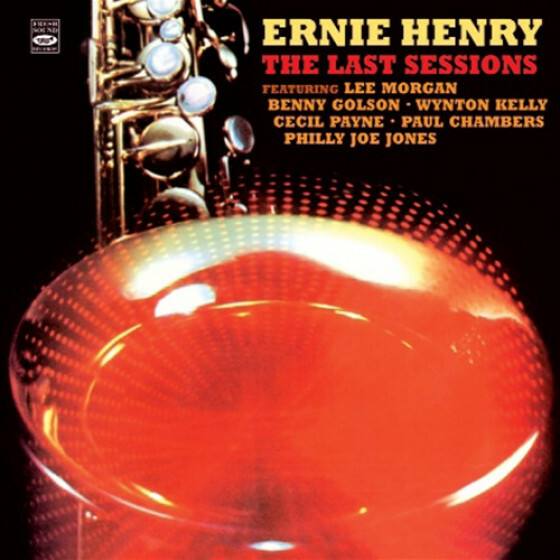 Superior modern mainstream music, but there should have been much more from the potentially significant Ernie Henry."